Kolisch Hartwell is experienced in copyright registration for all types of creative works with the U.S. Copyright Office, including photographs, works of art and literature, computer programs, building designs and even boat designs. We are also experts in how U.S. copyright protection extends into foreign countries under international treaties such as the Berne Convention treaty. Clients including writers, photographers, programmers, web designers, graphic artists, and publishers rely on Kolisch Hartwell for assistance in obtaining copyright protection of their creative works. Businesses and individuals that acquire creative works from employees, contractors, or vendors, and those who use creative works in a commercial context, such as publishing an image as an element of a web site or advertisement, also look to our team for copyright advice and services. Copyright protection extends for a long period of time, and is not barred by earlier public disclosure. We are experts at determining whether copyright protection is available even when patent and trademark protection might not be. Preparing and prosecuting copyright applications In the United States, copyright protection exists from the creation of a work, but federal registration confers important advantages. Actual or attempted copyright registration is a requirement for bringing an infringement lawsuit and for eligibility for statutory damages. Kolisch Hartwell assists clients in applying for federal copyright registration, and provides the option of expedited review by the U.S. Copyright Office. Drafting, reviewing, and negotiating agreements and contracts Our attorney team is widely experienced in preparing comprehensive license agreements, work-for-hire agreements, employment agreements, independent contractor agreements and publishing contracts that typically address copyright ownership. Counseling and advice on copyright ownership issues We assist clients when the need arises to find the owner of a work or to prove that a work is in the public domain. 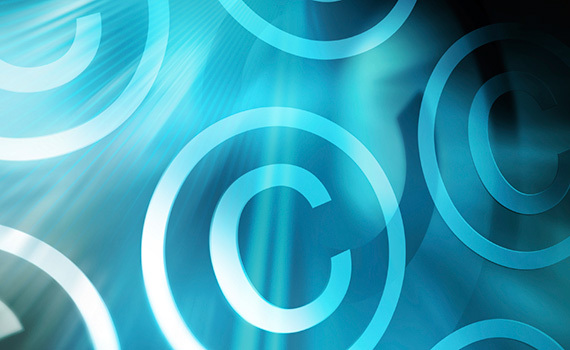 Kolisch Hartwell is at the cutting edge of IP and copyright law practices, advising clients on rapidly evolving changes in areas such as Internet and digital media copyright. When the need arises, we are also experienced in enforcing and defending our clients’ rights under U.S. copyright law, including the Digital Millennium Copyright Act (DMCA). Contact us to learn more about our Copyright services.